John Bradshaw is one of America’s leading personal growth experts. He pioneered the concept of the “inner child” and brought the term “dysfunctional family” into the mainstream. Bradshaw is the author of five New York Times bestsellers, including Homecoming, which shows readers how to reclaim and nurture their inner child. His books have sold over four million copies in North America. Bradshaw has lived everything he writes about. Born in Houston into a troubled family, he was abandoned by his alcoholic father and became a high academic achiever who was also an out-of-control teenager. He completed his education in Canada, where he studied for the Roman Catholic priesthood, earning three degrees from the University of Toronto. During the past 25 years, Bradshaw has worked as a counselor, theologian, management consultant, and public speaker. He created and hosted four nationally broadcast PBS television series based on his best-selling books. He also lectures and holds workshops throughout the country, touching millions of lives. John Bradshaw’s video and audio cassette series highlight subjects such as family relationships, codependency, inner-child work, divorce, addictions, recovery, and spirituality. 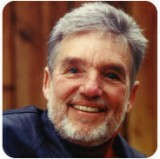 To view his catalog of titles, visit www.johnbradshaw.com. • It’s okay to make mistakes. Mistakes are our teachers—they help us to learn. • Children are curious and are risk takers. They have lots of courage. They venture out into a world that is immense and dangerous. A child initially trusts life and the processes of life. • Recovery begins with embracing our pain and taking the risk to share it with others. We do this by joining a group and talking about our pain. • The more we know about how we lost our spontaneous wonder and creativity, the more we can find ways to get them back. • Children are natural Zen masters; their world is brand new in each and every moment. John Bradshaw is best known for his book, Homecoming: Reclaiming and Championing Your Inner Child, and the PBS special of the same title. These are the places to the get started. If you don’t have access to the PBS special, start with the book. Bradshaw believes that we all have an “inner child,” and for many of us, it was damaged or wounded during our childhood from living in a dysfunctional family. In Homecoming, Bradshaw offers a guide to understanding and mourning our wounded inner child. The book, his therapy, and his programs are about healing yourself. He draws on techniques used in his workshops to help put readers in touch with painful childhood memories and experiences. He believes that only after confronting and re-experiencing these past hurts can we break the family cycle of dysfunction and move ahead with our lives. • Validate your inner child through meditations and affirmations. • Give your child permission to break destructive family roles and rules. • Adopt new rules allowing pleasure and honest self-expression. • Deal with anger and difficult relationships. • Pay attention to your innermost purpose and desires...and find new joy and energy in living. John Bradshaw’s books and ideas have impacted millions of people. If you feel that you were brought up in a dysfunctional family and want some help, Homecomings is for you.